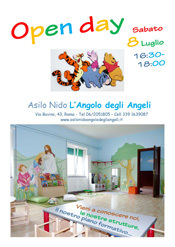 The Kindergarten's "Corner of the Angels" (L'angelo degli angeli) is an educational and social service for young children, aged 12 months to 3 years, which collaborate with their families in accompanying their growth and education. The Kindergarten's aim consists in guaranteeing the right to education in the respect of the children's individual identity. 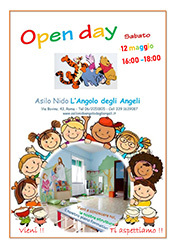 We are open at convenient and flexiblehours, designed to meet the needs of families, in line with the child's rhythms and educational activities. 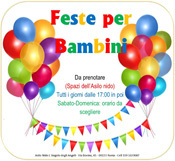 We welcome children from 8.00 to 09.30 from Monday to Friday, 11 months a year.